Are you planning on spending some time fishing in Minnesota? Or do you live in Minnesota and want to explore some of the best fishing spots in your home state? In either case, good on ya! Minnesota is a state that offers tons of lakes with some awesome fishing and lots of different species to go after, as well as many other outdoor pursuits. It’s a true outdoorsman’s state! In this article, we will highlight some of our favorites for the best fishing spots in Minnesota. Of course, many anglers will find their own favorite fishing holes that are off the beaten path, often times being unwilling to share this info. 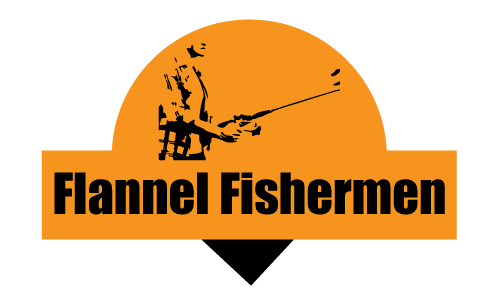 We don’t mean to say this as a negative thing, as it can certainly be understandable, but simply to say the Minnesota fishing spots that we discuss will be fairly well known. With some time, patience, and exploration, there’s a good chance you can home in on a perfect fishing spot for you, and we hope the destinations that we discuss will serve as a great starting point. Leech lake is the 3rd largest lake in Minnesota and is home to tons of fish species and lots of wildlife in general. It’s mostly within the Chippewa National Forest and Leech Lake Indian Reservation. While it’s home to many different fish species, including muskie, northern pike, walleye, largemouth bass, crappie, perch, panfish, and eelpout, Leech Lake is particularly well-known for great spotted muskie and walleye fishing. Given this lake is so large, there is an abundance of spots to fish from, either on shore or in a boat. Most of the lake is shallower than 35 feet; however, they bays tend to differ quite a bit from each other, especially in terms of depth. For example, Walker Bay has a maximum depth of about 150 feet. Generally speaking, this Leech Lake is large enough to provide different settings for different anglers, from open water to calm bays packed with cover, so we definitely recommend checking it out. If you’re itching to get out at the start of the season, it’s definitely one of the better early season fishing holes for walleye, as there’s lots walleye in and around the 15-20″ length range. As we mentioned, Leech Lake is largely surrounded by the Chippewa National Forest, which is extremely dense and wild. In fact, it hosts some of the highest bald eagle concentrations in the US! That being said, you’re not far from civilization, so there are lots of amenities close by. The town of Walker is one of the more common spots that people will explore. Moreover, given Leech Lake has garnered the attention of many fishermen and outdoor enthusiasts, some businesses and resorts have also taken notice and set up shop to help you have a blast at the lake (for a cost of course). So it’s really a combination of dense wilderness and modern civilization – Perfect for a weekend getaway! 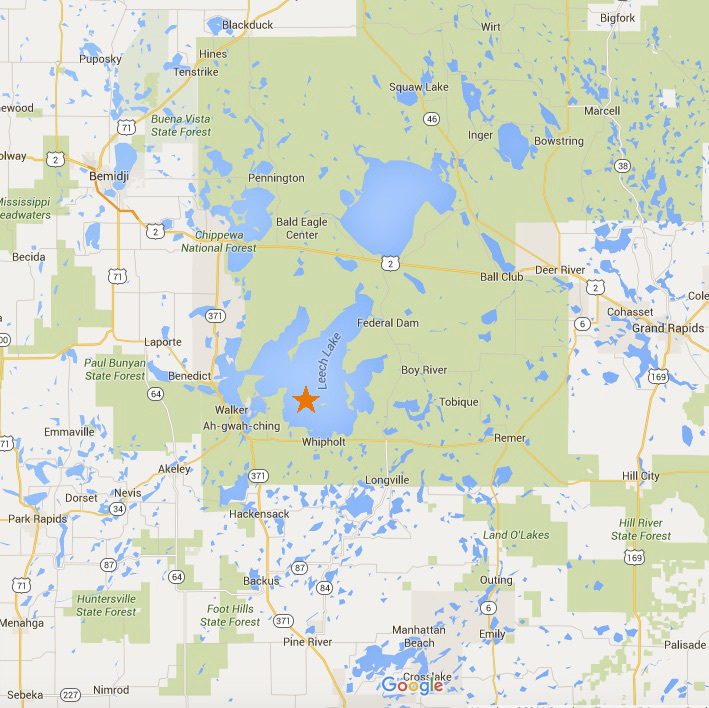 Rainy Lake is located in Northern Minnesota, and it actually straddles the US/Canada border. So while it may not be the most convenient for those living in the Southern portion of the state, it’s definitely worth making the trip once (which might convince you to go more!). While different anglers may have different favorite fishing holes in Minnesota, Rainy Lake is always among the top favorites. It’s one of those locations that holds a “soft spot” for many anglers. Secondly, it’s a great introduction to fishing in Canada, as it’s as close as you can get without physically stepping on Canadian soil. If you have to travel a substantial distance from the South, chances are you will notice a difference in the scenery, as tall pine trees densely populate the area, and wildlife common to Canada is often visible. All that being said, you’re there for the fishing, so that should be the top priority. Lucky, this unique and scenic location is a gem for fishing. I almost used the term “hidden gem”, but as time goes on, more and more anglers are realizing why this is a great spot to come back to. Rainy Lake is densely populated with hearty walleye, with 20-inches being a fairly common catch. Moreover, this lake is also teaming with smallmouth bass, so be ready to put up a fight! Other commonly caught species include northern pike, muskie, and crappie. A commonly overlooked advantage of this lake is the protection from the wind. There are lots of bays, nooks and crannies, and rocky outcrops all over the lake, most of which are sheltered from the wind. So even if it’s a busy day and there are lots of anglers casting, they can be so spread out that it still feels relatively isolated. If you’re fishing from a boat, you can spend forever exploring the lake finding your personal favorites spots. As the popularity of Rainy Lake increases so does the tourism industry in the area. There are already a few resorts/lodges on Rainy Lake, but even still, it’s not overloaded with commercial real estate, so the lake still maintains it’s truly wild element. Plus, worst case, you have some nearby amenities to help you out if you need. Overall, Rainy Lake is an awesome fishing spot in Minnesota that will really appeal to those looking for a more “Northern” experience, those who like ripping around and exploring all a lake has to offer, or simply anyone who wants to maximize their chances of catching some big gorgeous walleye, smallmouth bass, or northern pike. If you’re reading up on Lake Vermilion, one of the first things you will always see is its claim to being one of the most beautiful lakes in the country. According to lakevermilion.com, the National Geographic Society declared Lake Vermilion as one of the top ten most scenic lakes in the US. If you’re someone who is getting away from it all for a weekend, and you’re prioritizing picturesque scenery and a peaceful environment (along with good fishing, of course), then you should definitely consider heading out to Lake Vermilion. Lake Vermilion is well-known as a home to a diverse range of fish species, which is actually fairly common across Minnesota. Like most lakes in Minnesota, the walleye are certainly abundant, but you can also fish for bass, northern pike, muskie, perch, and more. What sets it apart form a lot of the other lakes in Minnesota are the ideal qualities it shares with Rainy Lake: an irregular shape and protection from the wind. Lake Vermilion provides many different bays of different sizes, and 365 different islands are scattered over the lake, creating a playground for anglers. There are lots of drop-offs, vegetation, and other underwater structures to further enhance the habitat. This is just one of the reasons it hosts so many species of fish and offers some fun casting! The walleye are extremely abundant and tend to reside around vegetation in shallow bays, and as the season progresses and water temperatures rise, they will gradually move towards deeper waters, where you can target drop-offs and other underwater structures. Lake Vermilion is also well-stocked with muskie, where 50+ inches is a relatively common site. Fishing for bass can be really fun here as well, as both largemouth and smallmouth are present. For examples of big fish that other anglers have recently hauled in, check out the Lake Vermilion Big Fish Report! Overall, this is an excellent location for fishing in Minnesota. The fishing alone is enough to keep you coming back over and over again. With so many bays and different areas to try casting, it will take numerous visits to get a feel for the entire lake, and there’s a good chance you will have a lot of success each time you go. That, combined with the incredible scenery, makes it a must-try fishing spot in Minnesota. We’re going a little off the board here, but we feel this is a hidden gem that can be convenient for anglers close to the southeast portion of Minnesota, or those residing in Iowa (it’s very close to the state border). Therefore, Lake Louise can be a nice option for those who don’t have the time or resources to access more well-known lakes like Leech Lake or Rainy Lake. Lake Louise is a relatively small lake, only about 25 acres, and is located in Lake Louise State Park (go figure). Fish generally access the lake from the Upper Iowa River and the Little Iowa River, with the most popular catch being largemouth and smallmouth bass. Other catches include crappie, sunfish, and channel catfish, among many other species. If you don’t have access to a boat, no problem, Lake Louise is only open for shore casting. The park, in general, is so nice for other outdoor activities like hiking and horseback riding, that the fishing is often overlooked and therefore not usually that busy. If you’re looking to do few activities over the weekend along with fishing, this could definitely be a spot to consider. Just keep in mind the park gates are only open between 8am-10pm unless you are a registered camper. The Mississippi River is one of the more popular and best places to fish in Minnesota. Technically, if your fishing on this river in Minnesota, then you’re considered to be fishing on the Upper Mississippi branch, which begins at Lake Itasca (meaning “true head”). Given the Mississippi River is huge (longest in the US) and very dynamic, you can find lots of different fish species here, including walleye, sauger, smallmouth bass, largemouth bass, white bass, northern pike, bluegill, crappie, and channel catfish. The walleye and sauger are particularly abundant in the upper branch of the river and can be found in many different spots, as they like the current, but also hang around rocks and other structures to spawn. If it’s the bass you’re after, then you’re in luck because it doesn’t really matter what portion of the river you fish, as they are found all along its length. Some anglers talk about the Mississippi River, especially the Upper Branch, as being a polluted and dirty water source. While this used to the case, efforts have been made to reduce the pollution, and more anglers are now practicing catch-and-release methods. This has allowed the bass population, and fish in general, to surge in population and regain their natural, healthy habitat. The Mississippi River is also nice because there is lots of fishing available both from shore or from a boat. There are tons of spots for boat access, and regular updates on any potential closures or openings can prevent any inconvenience of showing up at a ramp and not being able to put in. The link provided above also highlights some of the more desirable shore-casting locations as well. Overall, the Mississippi River represents one of the more diverse and fun spots to fish in Minnesota. If you find one spot isn’t working too well, just keep moving up or down the river, and eventually, you will be bound to spot ideal locations with concentrations of fish. Moreover, they seem a little more hungry in the river, so when you find the fish, chances are they will bite!